My intentions leaned towards canceling this whole trip. 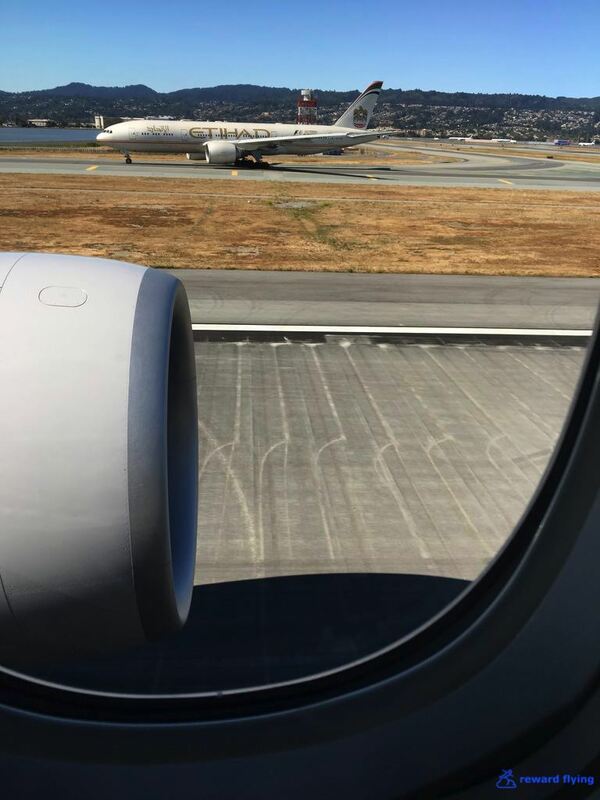 That last trip was a disaster and this trip was on UA's old 777 along with a repeat of Japan Airlines 777 in first. While I loved JL, I just flew it. 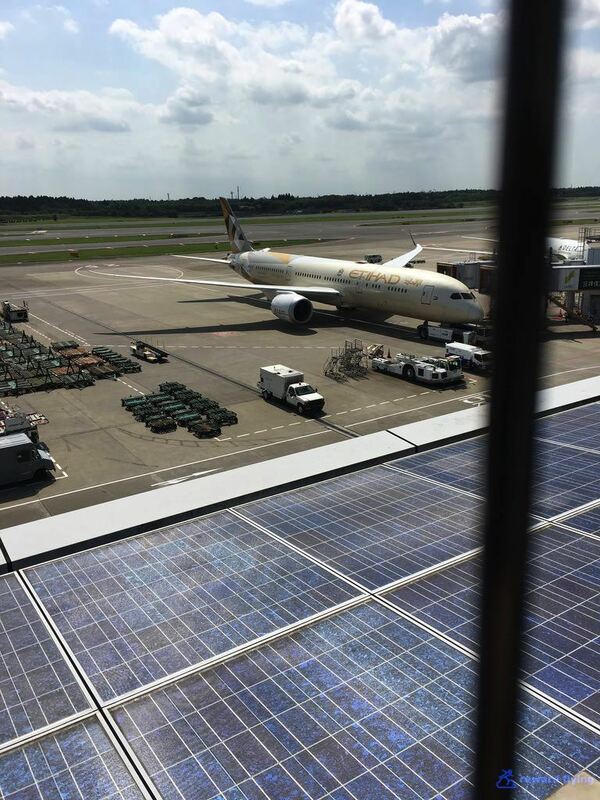 Yes the ANA 787 was anticipated, but on the whole the trip had lost its appeal. I was waiting to see if Lufthansa and Asiana would show up in first class. Lufthansa 747-8 first class and Asiana A380 first class, now that was motivation and sure enough it did become available. The same day I booked Lufthansa and Asiana first class I typed into United's mobile app NRT-ORD with my return date and flipped the 'search award travel' button. When the results appeared I couldn't believe my eyes. Maybe not so much that UA838 from Narita to San Francisco on United's brand new 777-300 with the new Polaris business seats was available. No, the surprise was that there was a premium seat from San Francisco to Chicago without having to wait 12 hours until the red-eye! Rare, and sad. But there it was. I immediately pressed the Business Saver Award button and reserved it, knowing the next two lines of text had my back. Details to work out within the next 24 hours. The surprise to others probably is I swapped a direct JL first class flight to Chicago for United in business with a connection, for about the same points. I never claimed to be sane. But I'd do it again. 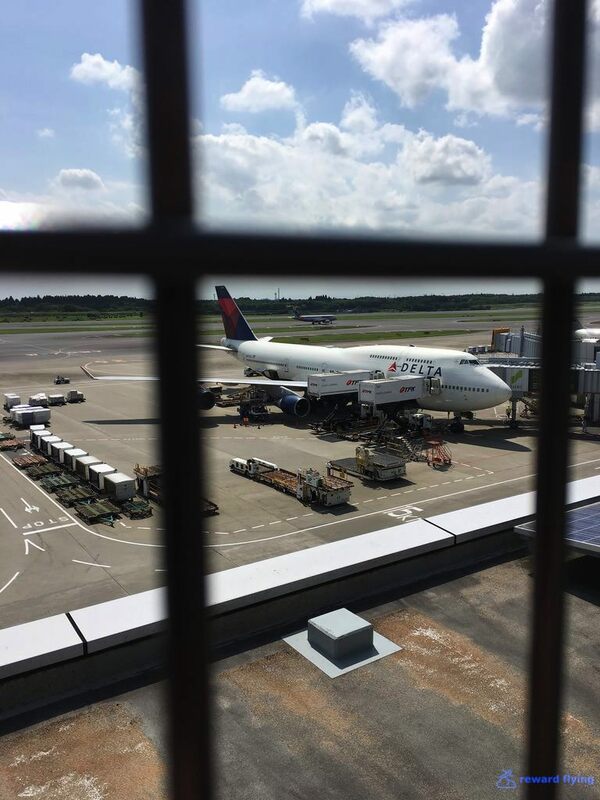 I arrived on this warm sunny day to Narita a couple hours early with the observation deck in mind. Narita is a beautiful airport. The one on the left could have been my ride had it not been 105,000 Skypesos to fly. However what was really irritating is this same flight was available for the low saver fare of 80K the next day, just not today. The one on the right is on the bucket list as well. After some plane watching the sun was getting the better of me so I headed to the United Club anxious to see how it compared to ANA's business lounge by gate 50, which isn't the greatest in the world as I'd label it average. Gold Track priority screening was a breeze and down the stairs to immigration and I was at the lounge in minutes. You can read about the United Club under the lounge reviews using this link. Anxious for this flight I headed to the gate. While snapping photos of 2137 which had recently arrived from SFO, there was an ambulance at the tail door. I tried to find out what this was about but never found anything. Boarding at Narita was the most organized I've ever seen at a United gate. I was first in line until they invited Global First to board. They never did that when I was GF. The entrance was through door two, this is the rear business class cabin. I followed Mr. GF. The aisles are fairly tight, and a lot of folks would be traveling back to ten wide. The the rear cabin consists of rows 9-18, minus 13 and 14 for whatever reason. Here is one of the angled center seats. Notice the retractable dividers for these center seats. The two center seats straight-forward facing. Seat 15A against the window, straight-forward facing. Most of these seats have three windows, however one window is behind you. It can be a tight squeeze getting into this window seat pod. Here is a window angle-forward seat. These seats only have a single window, except row 16 has no window. Window and center angled seats place you exposed to the aisle. It appears the bulkhead seats, rows 1 and 9, have more legroom. United has installed this handrail to help hoist yourself out of the seat. Inside the opposite armrest are the seat controls as well as light switch (2nd to last) and do not disturb light (last). I found the wheel seat control easy to use, while I've read some inadvertently move it while sitting. I did not have this problem. The monitor is a positive responsive touch screen along with being high definition. A large tray pulls out from underneath the monitor. There's also a fold out panel on the back that can be used to secure a tablet for video watching. Below the monitor is a small compartment that can be used for phones or mini tables with a USB charging port in reach. Underneath is a foot rest with a small storage area for a purse or travel bag. What's nice about this footwell is that it's equal width from front to back, unlike the reverse herringbone seats that narrow towards the rear. While these Polaris seat pods lack storage for all the Polaris bedding and personal larger items you may have brought on board, each pod has a compartment for smaller items such as headphones or maybe your cell phone, although it's not very deep. A few of the other seat accessories. The Polaris seat United uses is the Zodiac Optima, which was designed from the Zodiac Skylounge series that ANA employs in their staggered business cabin. The Optima series is obviously in a different configuration but essentially it is the same pod based on seat, tray, footwell and monitor placement. This was the first thing I was given. I don't recall being offered a pre-departure drink but probably would have refused. I certainly don't have a photo. However I'm sure warm towels were handed out from the tray with those little tongs they use. The seat pictures showed the three Polaris bedding items placed at every seat. When I boarded I requested a gel pillow and mattress pad. They were provided before departure and stored in the overhead bin above my seat. If you want a gel-pillow or mattress pad be sure to request them immediately as United only loads these items for about 60% of the seats. In one of the footwell photos above United's white slippers were shown. Here's my fashion show wearing the socks provided in the amenity kit. Yikes! While the United Polaris First amenity kit is outstanding as well as a prior Cowshed business class kit, this new Polaris Saks Fifth Avenue kit, not so much. The menu has a single page insert for beverages. My flight attendant had no clue what the Sommelier's wine choice was today. Nor did she know what champagne was on today's flight. Which brings up the question, why is a menu necessary if you have to ask? Especially as an insert to the booklet menu. There were two flight attendants in the back cabin of twenty-eight people, which is a whole other issue. One worked each aisle. The FA working the opposite side was taking dinner orders. Probably because my FA barely spoke English. I think she was either Taiwan or Hong Kong based. 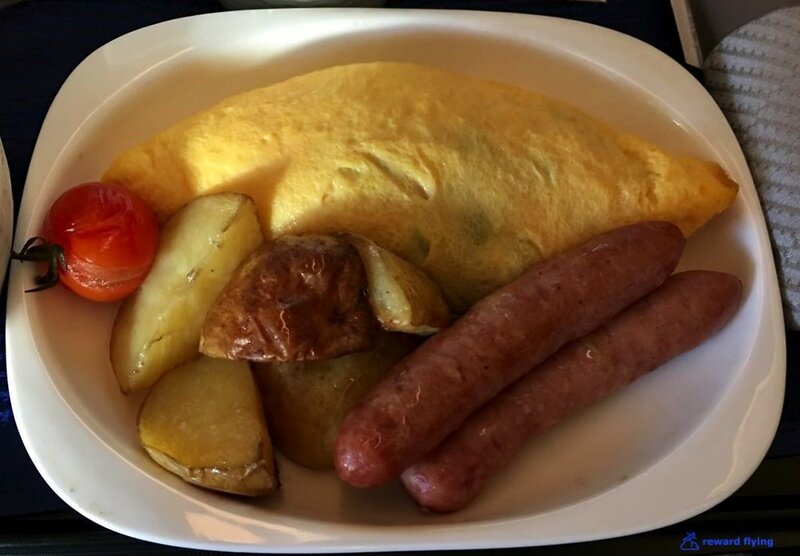 So when the other FA was taking orders for 15 G/L I heard her request a second choice from a passenger who ordered the Japanese Dining Service, "just in case they ran out". A few minutes later she took my order. I asked for the Japanese Dining Service. She requested a second choice "just in case". I said the Chicken. "And a third choice?" Hmmm, ok the beef. I've taken the liberty to amend the menu as shown. The wine flight was a taste of each, which is fine. Last time is was a full glass, apparently I had a friendly pourer that day. Today I decided I liked the one on the right and asked for more. I still don't know what it was. She flashed the bottle when I asked. I think it was Chateau St. Michelle which makes sense at about $15USD retail. Apparently I wasn't getting the Japanese meal. The smoked salmon was good, but there was almost too much of it. Cherry tomatoes must be in season. Well the mystery is solved. I don't know if I ever knew the name of my flight attendant. She was in over her head. Now in fairness she had 14 people on her side. But she wasn't organized and as I mentioned didn't speak much english. I wouldn't say she was not nice, but she certainly wasn't personable. I don't recall a single smile. This is exactly how the cheese course was placed on my tray. The menu says Port, none was offered. United management, travel on some other airlines and see how this done. Please. The menu says Sweet treats. This plate was placed on my tray with the coffee I requested. Let's see, looks like a tart and a mini-chocolate cake and ??? The menu states to "Ask your flight attendant" four times. And the anytime A La Carte menu suggests cold bites anytime after dinner service. Maybe they are hiding. The entertainment system is quite nice with brilliant colors and a good selection of movies. This flight also had Channel 9, for a few minutes. When I awoke from a few hours of sleep the IFE system was not working. Teething pains on a new aircraft? Disappointing nonetheless. Time to sleep. On UA836 last year in first class I marveled at the Polaris bedding and the great comfortable sleep. My comment was something like, "snuggling in your own bed". The star of that show was the Saks Fifth Avenue plush duvet. What is missing from this picture? So no plush duvet. What do you think the chances of getting a turndown service were? I guess a lot of people didn't want to sleep. The bed is comfortable. I got a great sleep. Polaris hard product is pretty darn good for a business class seat. Outside of San Francisco breakfast was served. How much sugar is in this yogurt, I don't read Japanese? Do I really want to eat this? What a boring bowl of fruit. 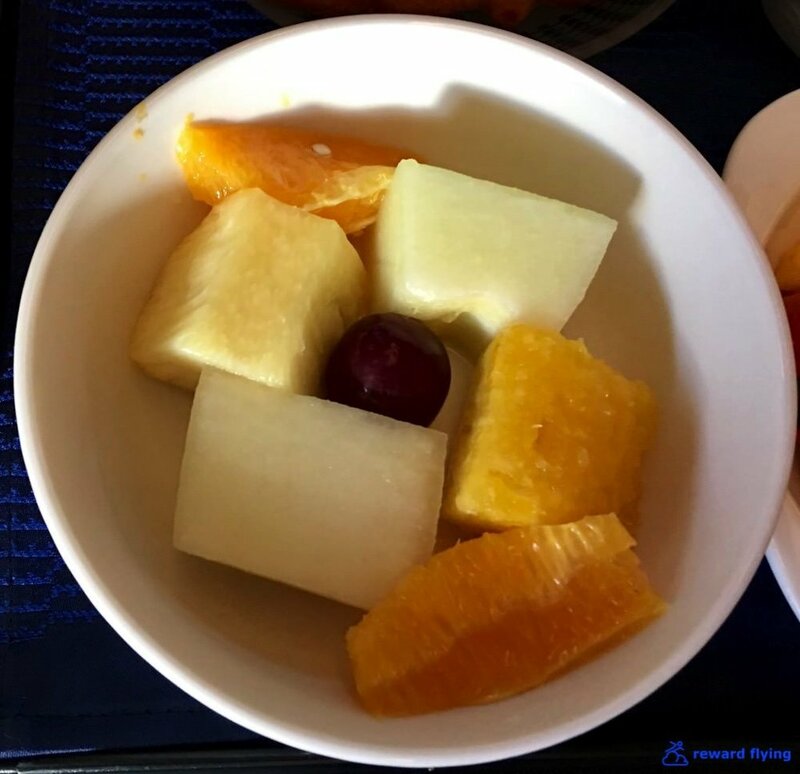 See China Airlines flight #106 TPE-NRT for what a bowl of fruit should look like United. It's really a simple thing. Did I mention service was bad? Have you ever gotten up in the morning and had open liquor bottle or glass laying around from the night before? Insert gag here. 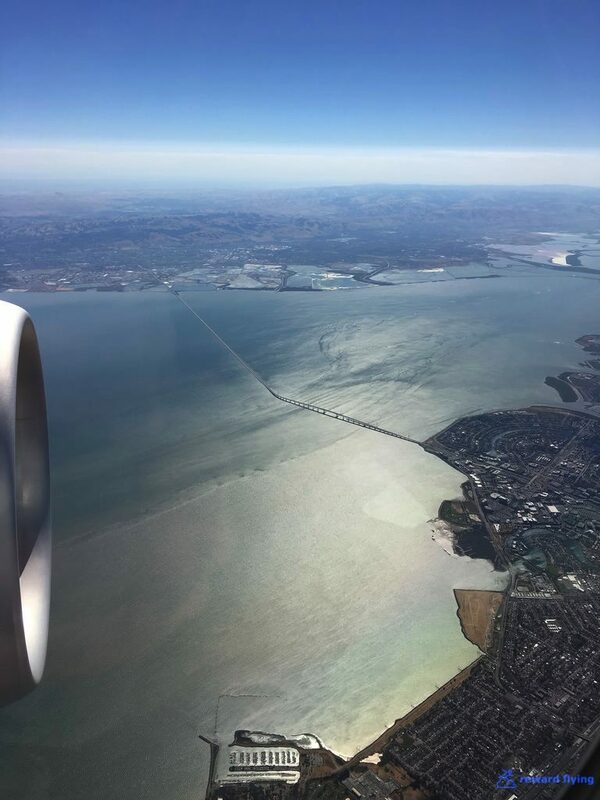 It was a glorious approach into the bay area. Love the raked wing tip on these 300's, and the GE90-115 is massive. ✔︎A firm seat but with the mattress pad (be sure to request when boarding!) comfortable. ✔︎Dismal. Why not PJ's for an overseas flight? ✔︎Terrible. And it's bad enough not getting your first choice, but not even the second choice? And I have lifetime elite status. ✔︎Excellent monitor and good content, but it broke mid flight so point deducted. ✔︎One of the poorer experiences I've had. Not sure if it was the FA or the cabin wasn't sufficiently staffed. ✔︎B777 The plane was brand new. The complete flight history of this aircraft. An early arrival set the stage for yet another most welcomed surprise! Stay tuned. If you have any United experiences you wish to share, feel free to leave a comment below.